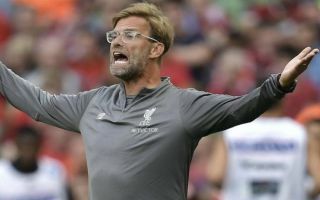 Liverpool manager Jurgen Klopp has criticised Trent Alexander-Arnold and Andrew Robertson for performing well below their best against Crystal Palace on Monday. Klopp watched on from the dugout this evening as his team picked up another three points at Selhurst Park against Roy Hodgson’s formidable Crystal Palace side. Having won their opening game of the new Premier League season against West Ham last weekend comfortably, the expectation was sky high amongst supporters going into tonight’s game and the Red’s ultimately managed to deliver the goods. James Milner opened the scoring for the away side from the penalty spot right on the stroke of half-time and Sadio Mane added a second deep into injury time at the end of the second half, which secured back to back wins for Liverpool. However, Palace did have their moments in the match, with Andros Townsend hitting the woodwork from range and Alisson forced into making a few top-class saves in between the sticks for the Reds. Klopp: We were there, we helped each other. But of course it wasn’t a brilliant performance from us tonight, both full backs could play 80 per cent better. Robertson and Alexander-Arnold have both only been full members of the senior squad for only a short while, with the former arriving at Anfield from Hull City in 2017 and the latter graduating from the youth set up a year earlier. Liverpool supporters will hope that both men reproduce their best form as the season goes on to help complement Virgil Van Dijk and Joe Gomez in defence to greater effect as well as provide support in attacking areas.